Riyadh: Customs officials foiled an attempt to smuggle 65,265 amphetamine pills into Saudi Arabia via King Abdulaziz International Airport in Jeddah. The officials became suspicious of a shipment and screened it to discover the narcotics pills hidden inside. In a separate operation, the customs officials screened a passenger at the airport and discovered 95 capsules in his abdomen, containing 699 gm of heroin. 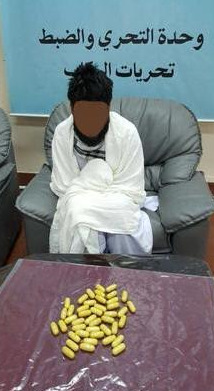 Authorities referred the confiscated amphetamine pills and drug traffickers to anti-narcotic directorate, reported local Arabic daily Sabq.